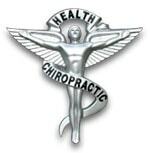 Call today and our friendly staff will schedule your appointment. It is well documented that there is a low positive outcome of success with shoulder injuries. Whether an individual has damaged their shoulder through athleticism or a slip and fall, conventional treatment such as surgery or physical therapy has historically yielded positive outcomes as low as 50-65%, according to post-treatment patient surveys. The incidence for success is lower for patients who plan to continue a career involving athleticism, or are dealing with post-surgical failure. 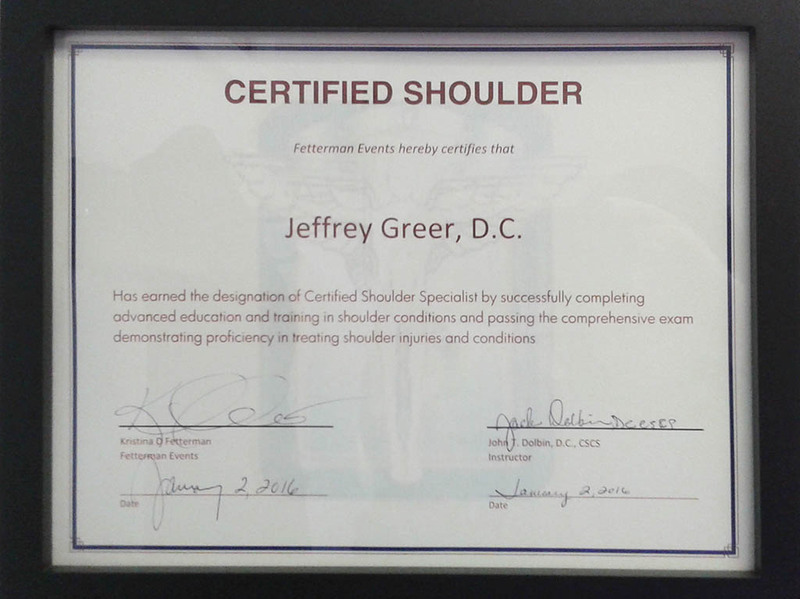 Dr. Greer has received his certification in the Shoulder Specialist Program pioneered by Dr. John (Jack) Dolbin and is one of only a handful of practitioners in the Midwest who have attained this very special endorsement. 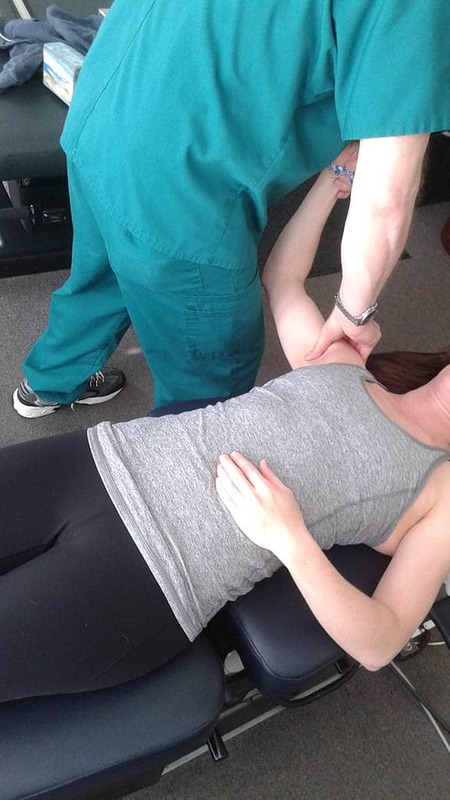 With the very low outcome measure of surgical intervention, shoulder patients have long sought a viable alternative to invasive shoulder procedures and failed therapeutic programs. This package of physical measures, mobilizing and decompression technics, cold laser, nutritional support, and carefully regimented resistance exercises, boasts of positive outcomes in excess of 80%. The technics have been developed primarily for the modern athlete, but they have proven effective for most everyone, including those individuals who have experienced failed-shoulder-surgery-syndrome. I just wanted to say thank you for using your shoulder techniques on me. I have seen such a great improvement in only 3 sessions. I was having a lot of pain out of nowhere, especially across my bicep and down the side of my arm. I was also having a lot of pain in my shoulder blade. The pain has eased up a lot, and the clicking on my shoulder seems to have gotten less frequent. You have given me hope that I may be able to live a somewhat normal life when no one else has. I have had 4 shoulder surgeries, 3 within 14 months of each other. The last operation was a reverse total shoulder replacement performed just about one year ago. I have been to physical therapy after each surgery. The doctor stopped the therapy after my replacement surgery because of a possible stress fracture. I currently do some exercises at home. I just want to say thank you again from the bottom of my heart! I would be happy to speak to other patients about your success with my shoulder. Your kindness, compassion, and willingness to help me are so greatly appreciated.